Liggett Knight: Oh, What A Knight! 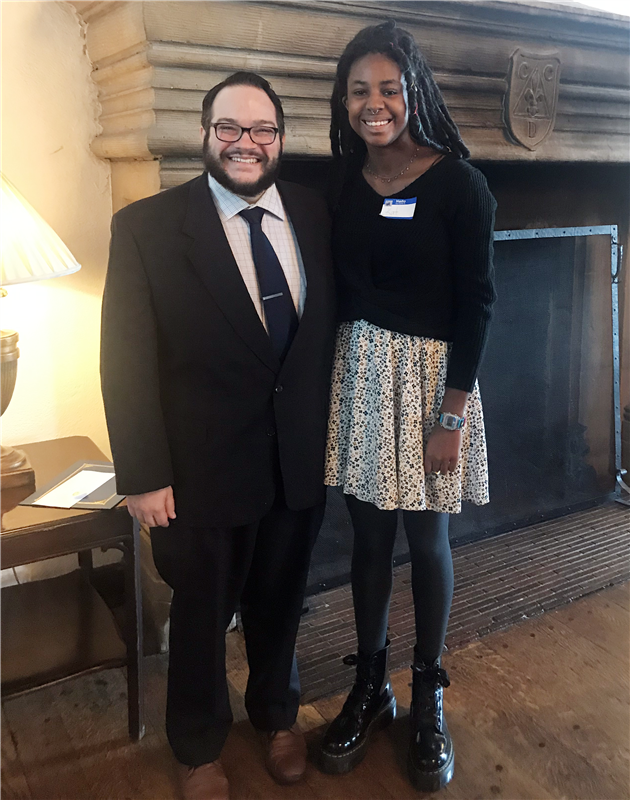 The Daughters of the American Revolution recognized two University Liggett School students at the Louisa St. Clair Chapter’s Youth and Education Awards. Senior Kat Tolin received the chapter's DAR good citizen award. Junior Margaret Hartigan (not pictured) received the chapter's DAR Christopher Columbus essay contest. As the chapter's Outstanding Teacher of American History, Upper School History Teacher Chris Hemler spoke about history education at the ceremony.